Referring to the 2016 Rio Olympics as "the most ambitious media event in history," NBC, as promised, provided more ways to consume more hours of content across more platforms than any Olympics ever. It was the first time the network simultaneously streamed its broadcast coverage, including primetime, on digital platforms. But what NBC isn't talking about as it touts the just-concluded games as attracting the second-highest primetime audience for any non-U.S. Summer Games is that most advertisers will have to be issued make-goods due to the fact that the network failed to meet projected ratings. Based on the average minute viewing across broadcast, cable and digital, the total viewing for the 15 nights of competition was an average of 27.5 million viewers in primetime per night (from Saturday, August 6 through Saturday, August 20, according to national data from Nielsen). The 2012 London Olympics still holds the top spot among the non-domestic games, with an average audience of 30.3 million viewers (based on just the NBC broadcast network in primetime). 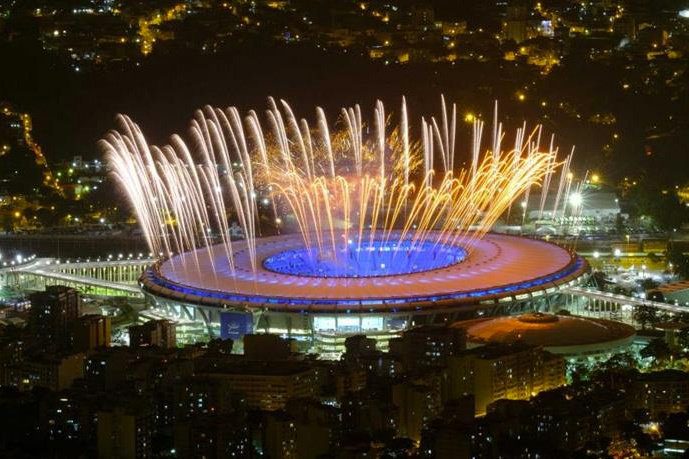 Comparably, despite the added eyeballs brought by cable and digital streaming, Rio trailed London by 9 percent. It scored an average 7.5 rating among adults 18-49 in primetime, which was a considerable 21% below the 9.5 rating in the demo in London. Compared to the top-rated Atlanta Summer Olympics in 1996, which averaged 32.9 million viewers and was not included in NBC’s non-domestic only analysis, the Rio ratings were down 16%. But factoring out cable and digital coverage, which is a fairer representation (comparing apples to apples), 25.4 million viewers, on average, tuned in for the 17 nights of the Rio Olympics. That ranks these Summer Games fifth among the non-domestic Olympics (instead of second), behind London, Beijing in 2008 (27.2 million), Barcelona in 1992 (26.4 million) and Seoul in 1988 (25.8 million). See chart below for more details. Across NBCOlympics.com and the NBC Sports app, however, there was a record 3.3 billion total streaming minutes (Live + Full Event Replays + Highlights). NBC Olympics digital coverage amassed 100 Million unique users – 29% more than the 2012 London Olympics. "NBC’s primetime broadcasts were again the dominant form of consumption for Americans, accounting for about 95% of all of the primetime audience," said Mark Lazarus, group chairman of NBC Sports Group, in a prepared statement. "But by putting events—for the first time ever in primetime–on NBCSN, Bravo, and at times USA Network, as well as streaming primetime in pattern, we learned a lot about consumption habits and attracted new audiences. We’ll use all of the data from all of our platforms to develop our plans for PyeongChang in 2018 and Tokyo in 2020." The greatest lesson of all, perhaps, is that traditional television still accounted for 92% of the viewership. "Given the magnitude of this event, traditional television was still, hands down, the primary way to watch the Rio Olympics," noted Bill Carroll, svp, director of content at the Katz Television Group. "And this is why all other ways to consume content is an enhancement, and not a replacement." Here come the stinkers: Which shows will fail on TV this fall?